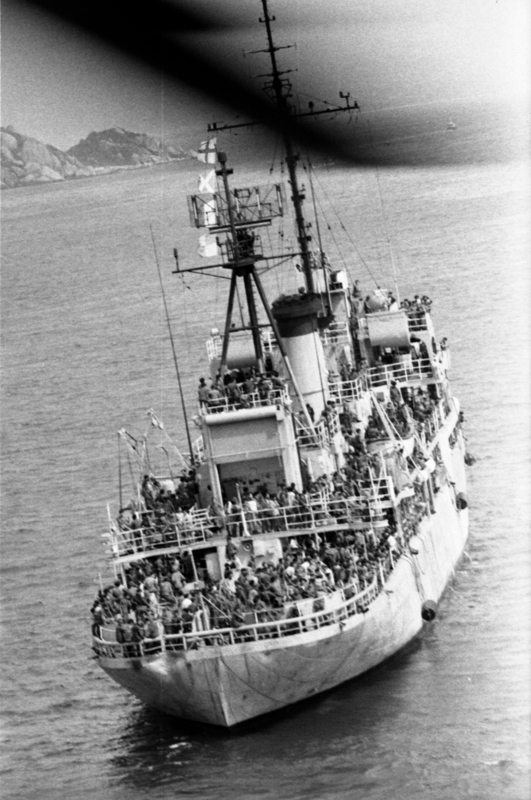 Description: Vietnamese leaving Da Nang crowd onto a ship bound for Cam Ranh Bay, South Vietnam. March 30, 1975. 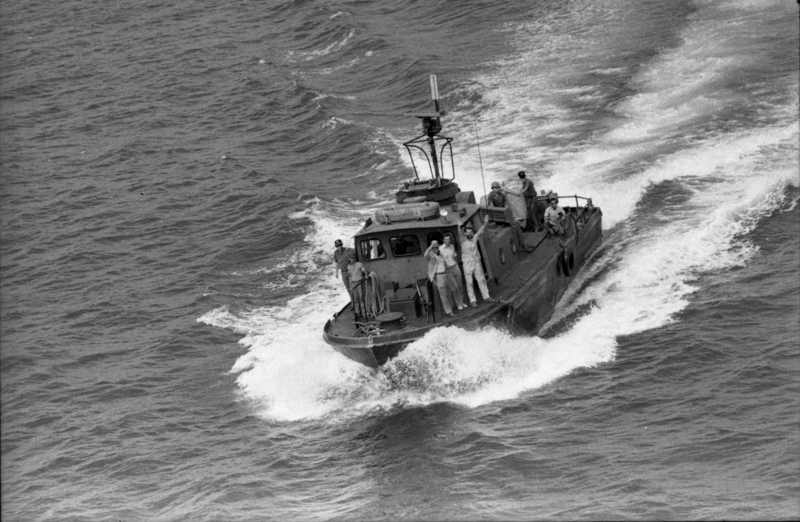 Description: U.S. Consul Al Francis waves from a tugboat in Cam Ranh Bay, South Vietnam, after escaping from Da Nang in front of the advancing Communists. March 30, 1975. 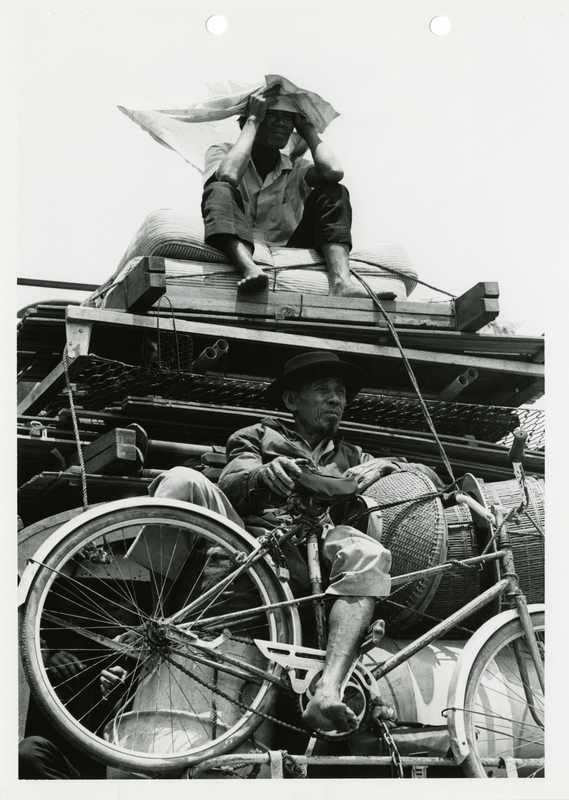 Description:Refugees ride on the back of a truck between Cam Rahn Bay and Nha Trang, South Vietnam. March 30, 1975. 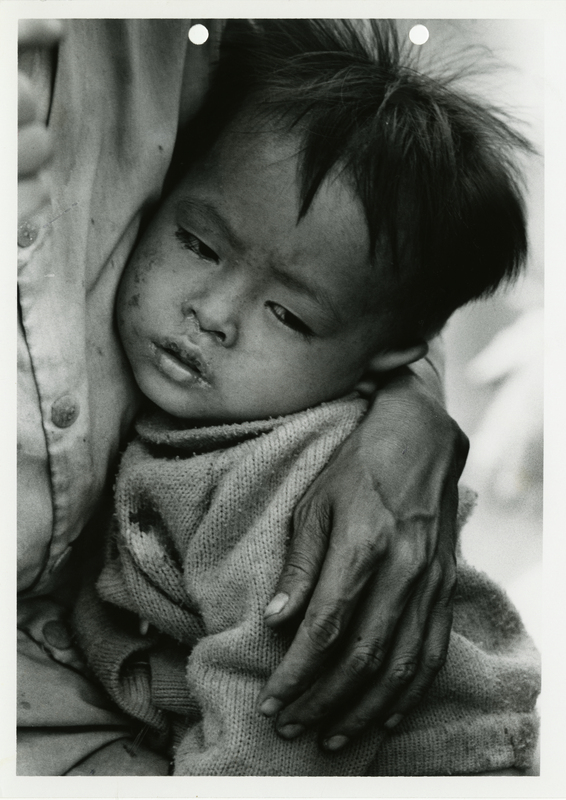 Description: A sick Vietnamese child is comforted in its mother’s arms at Cam Rahn Bay, South Vietnam. March 29 or 30, 1975.